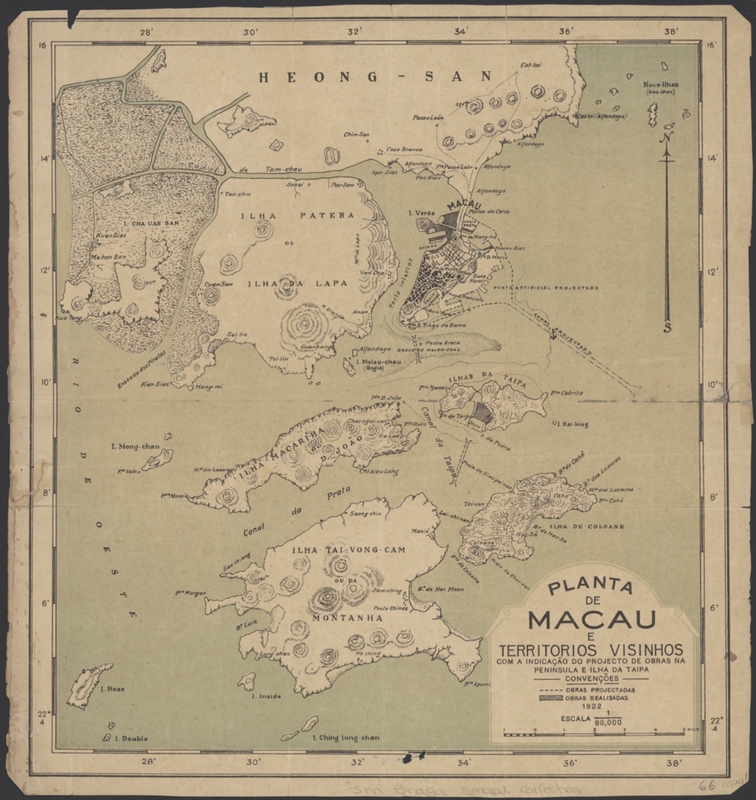 Map showing planned extensive reclamation of land in the Outer Harbour of Macau and a smaller area on the adjacent Portuguese island of Taipa, produced by the Harbour Authority. It also shows the projected navigation channel which would make the harbour accessible to modern shipping. The success of the whole project depended on the provision of the channel.